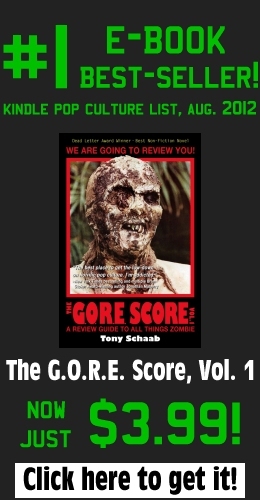 Do you know where you’ll be when the zombie apocalypse hits? While we can’t help you protect your brains, we can shed light on the worst cities to seek shelter in when the undead hit the streets. 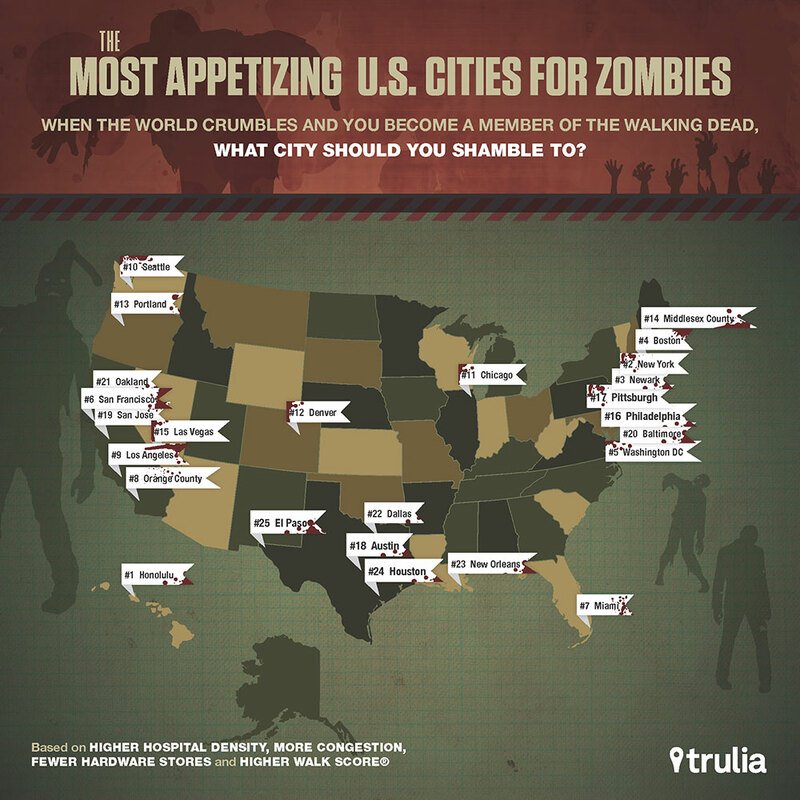 Following the record-breaking The Walking Dead season premiere, Trulia leveraged our local info maps to find out where zombies are most likely to thrive in the U.S., using four criteria: highest Walk Score, lowest density hardware stores, highest density hospitals, and most congestion. Island-dwellers beware: Honolulu, HI came in at number one! (Oddly enough, Atlanta, GA didn’t even make the list.) While we don’t know exactly where Terminus is located, Rick and his crew should definitely steer clear of these 25 cities. Highest Walk Score — Easy for the “walkers” to get around. Lowest density of hardware stores — Making it difficult for humans to protect themselves from attack. Most congestion — Making it difficult for humans to run from zombies.